For the 13th-century duchess and saint canonized in 1267, see Hedwig of Silesia. Jadwiga ([jadˈvʲiɡa]), also known as Hedwig (Hungarian: Hedvig; 1373/4 – 17 July 1399), was the first female monarch of the Kingdom of Poland, reigning from 16 October 1384 until her death. She was the youngest daughter of Louis the Great, King of Hungary and Poland, and his wife Elizabeth of Bosnia. Jadwiga was a member of the Capetian House of Anjou, but she had more close forebears among the Polish Piasts. In 1997 she was canonized by the Roman Catholic Church. In 1375 it was planned that she would eventually marry William of Austria, and she lived in Vienna from 1378 to 1380. Jadwiga's father is thought to have regarded her and William as his favoured successors in Hungary after the 1379 death of her eldest sister, Catherine, since the Polish nobility had that same year pledged their homage to Louis' second daughter, Mary, and Mary's fiancé, Sigismund of Luxemburg. However, Louis died, and in 1382, at her mother's insistence, Mary was crowned "King of Hungary". Sigismund of Luxemburg tried to take control of Poland, but the Polish nobility countered that they would be obedient to a daughter of King Louis only if she settled in Poland. Queen Elizabeth then chose Jadwiga to reign there, but did not send her to Kraków to be crowned. During the interregnum, Siemowit IV, Duke of Masovia, became a candidate for the Polish throne. The nobility of Greater Poland favored him and proposed that he marry Jadwiga. However, Lesser Poland's nobility opposed him and persuaded Queen Elizabeth to send Jadwiga to Poland. 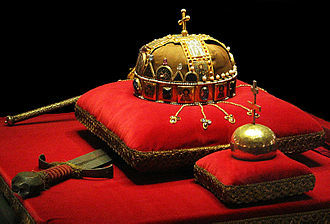 Jadwiga was crowned "king" in Poland's capital, Kraków, on 16 October 1384. Her coronation either reflected the Polish nobility's opposition to her intended husband, William, becoming king without further negotiation, or simply emphasized her status as queen regnant. With her mother's consent, Jadwiga's advisors opened negotiations with Jogaila, Grand Duke of Lithuania, who was still a pagan, concerning his potential marriage to Jadwiga. Jogaila signed the Union of Krewo, pledging to convert to Roman Catholicism and to promote his pagan subjects' conversion. Meanwhile, William hastened to Kraków, hoping to marry his childhood fiancée Jadwiga, but in late August 1385 the Polish nobles expelled him. Jogaila, who took the baptismal name Władysław, married Jadwiga on 15 February 1386. Legend says that she had agreed to marrying him only after lengthy prayer, seeking divine inspiration. Jogaila, now in Polish styled Władysław Jagiełło, was crowned King of Poland on 4 March 1386. As Jadwiga's co-ruler, Jagiełło worked closely with his wife. After rebellious nobles of the Kingdom of Hungary-Croatia had imprisoned her mother and sister, she marched into the Kingdom of Galicia–Volhynia, which had been under Hungarian rule, and persuaded most of the inhabitants to become subjects of the Polish Crown. She mediated between her husband's quarreling kin, and between Poland and the Teutonic Knights. After her sister Mary died in 1395, Jadwiga and Jagiełło laid claim to Hungary against the widowed Sigismund of Luxemburg, but the Hungarian lords failed to support them. Jadwiga was born in Buda, the capital of the Kingdom of Hungary. She was the third and youngest daughter of Louis I, King of Hungary and Poland, and his second wife, Elizabeth of Bosnia. Both her grandmothers were Polish princesses, connecting her to the native Piast dynasty of Poland. Historian Oscar Halecki concluded that Jadwiga's "genealogical tree clearly shows that [she] had more Polish blood than any other". She was probably born between 3 October 1373 and 18 February 1374. [nb 2] She was named after her distant ancestor, Saint Hedwig of Silesia, who was especially venerated in the Hungarian royal court at the time of her birth. 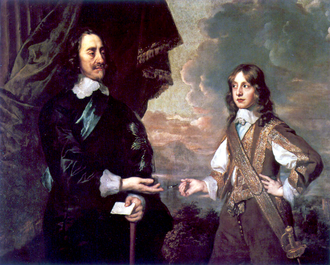 King Louis, who had not fathered any sons, wanted to ensure his daughters' right to inherit his realms. Therefore, European royals regarded his three daughters as especially attractive brides. Leopold III, Duke of Austria, proposed his eldest son, William, to Jadwiga already on 18 August 1374. The envoys of the Polish nobles acknowledged that one of Louis's daughters would succeed him in Poland after he confirmed and extended their liberties in the Privilege of Koszyce on 17 September 1374. They took an oath of loyalty to Catherine on Louis's demand. Louis agreed to give Jadwiga in marriage to William of Austria on 4 March 1375. The children's sponsalia de futuro, or "provisional marriage", was celebrated at Hainburg on 15 June 1378. The ceremony established the legal framework for the consummation of the marriage without any further ecclesiastical act as soon as they both reached the age of maturity. Duke Leopold agreed that Jadwiga would only receive Treviso, a town which was to be conquered from the Republic of Venice, as dowry from her father. After the ceremony, Jadwiga stayed in Austria for almost two years; she mainly lived in Vienna. Catherine died in late 1378. Louis persuaded the most influential Polish lords to swear an oath of loyalty to her younger sister, Mary, in September 1379. She was betrothed to Sigismund of Luxemburg, a great-grandson of Casimir the Great, who had been Louis's predecessor on the Polish throne. The "promised marriage" of Jadwiga and William was confirmed at their fathers' meeting in Zólyom (now Zvolen in Slovakia) on 12 February 1380. Hungarian lords also approved the document, implying that Jadwiga and William were regarded as her father's successors in Hungary. A delegation of the Polish lords and clergy paid formal homage to Sigismund of Luxemburg as their future king on 25 July 1382. The Poles believed that Louis planned also to persuade the Hungarian lords and prelates to accept Jadwiga and William of Austria as his heirs in Hungary. 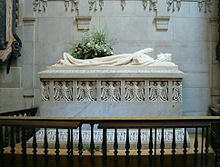 However, he died on 11 September 1382. Jadwiga was present at her father's death bed. Jadwiga's sister, Mary, was crowned "king" of Hungary five days after their father's death. With the ceremony, their ambitious mother secured the right to govern Hungary on her twelve-year-old daughter's behalf instead of Mary's fiancé, Sigismund. Sigismund could not be present at Mary's coronation, because Louis had sent him to Poland to crush a rebellion. After he learnt of Louis's death, he adopted the title "Lord of the Kingdom of Poland", demanding oaths of loyalty from the towns in Lesser Poland. On 25 November, the nobles of Greater Poland assembled at Radomsko and decided to obey nobody but the daughter of the late king as she would settle in Poland. On their initiative, the noblemen of Lesser Poland passed a similar agreement in Wiślica on 12 December. 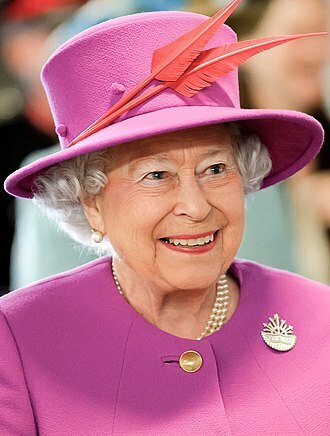 Queen Elizabeth sent her envoys to the assembled lords and forbade them to swear an oath of loyalty to anyone other than one of her daughters, thus invalidating the oath of loyalty that the Polish noblemen had sworn to Sigismund on the late King Louis's demand. Both Elizabeth's daughters had been engaged to foreign princes (Sigismund and William, respectively) unpopular in Poland. Polish lords who were opposed to a foreign monarch regarded the members of the Piast dynasty as possible candidates to the Polish throne. Queen Elizabeth's uncle Władysław the White had already attempted to seize Poland during Louis's reign. However, he had taken monastic vows and settled in a Benedictine abbey in Dijon in Burgundy. 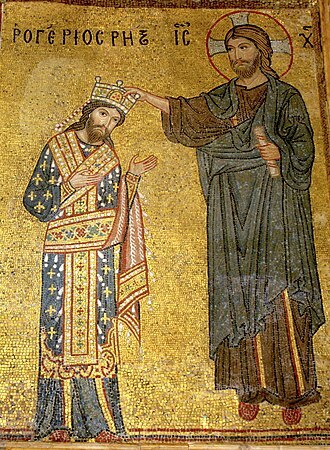 Antipope Clement VII, whom King Louis had refused to recognize against Pope Urban VI, released Władysław from his vows, but he did not leave his monastery. Meanwhile, Siemowit IV, Duke of Masovia, appeared as a more ambitious candidate. He was especially popular among the nobility and townspeople of Greater Poland. Queen Elizabeth's representatives released the Poles from their oath of fidelity that their representatives had sworn to Mary at an assembly in Sieradz in February 1383. The envoys also announced that she was willing to send Jadwiga to be crowned instead, on condition that she return to Buda after her coronation to live there until her twelfth birthday. The Polish lords accepted the proposal, but they soon realized that thereby the interregnum would be extended by a further three years. At a new meeting in Sieradz, most noblemen were ready to elect Siemowit of Masovia king on 28 March. They proposed that Siemowit should marry Jadwiga. A member of the influential Tęczyński family, Jan, convinced them to postpone Siemowit's election. The noblemen agreed to wait for Jadwiga until 10 May, stipulating that she was to live in Poland after her coronation. They also demanded that Dobrzyń and Gniewków (two fiefdoms which her father had granted to Vladislaus II of Opole), and "Ruthenia" (that had passed to Hungary in accordance with a previous treaty) be restored to the Polish Crown. Meanwhile, Jan Tęczyński and his allies, including Sędziwój Pałuka [pl], seem to have started negotiations with Jogaila, Grand Duke of Lithuania. 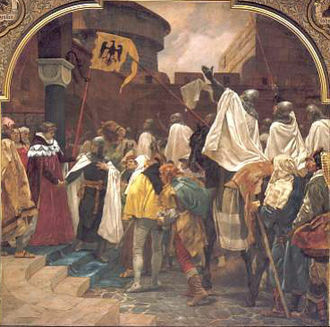 Siemowit's supporters however, tried to enter Kraków in the retinue of Bodzanta, Archbishop of Gniezno, in May, but the townspeople closed the gates of the city before their arrival. Jadwiga had not arrived in Poland by the stipulated date (10 May). Her mother's envoys stated that the spring floods had hindered Jadwiga's progress over the Carpathian Mountains. Siemowit of Mazovia took up arms and advanced as far as Kalisz. His supporters assembled in Sieradz in August in order to elect him king, but Archbishop Bodzanta refused to perform his coronation. In a meeting in Kassa, Queen Elizabeth promised the delegates of the Polish provinces to send Jadwiga to Poland before November. The queen mother and the Poles also agreed that if either Jadwiga or Mary died childless, her kingdom would pass to her surviving sister. Siemowit having laid siege to Kalisz, Queen Elizabeth sent Sigismund of Luxemburg at the head of an "improvised army" to Lesser Poland. Siemowit failed to take Kalisz, but news about the appalling behaviour of Sigismund's soldiers increased Sigismund's unpopularity in Poland. Sędziwój Pałuka, who was the castellan of Kalisz and starosta of Kraków, led a delegation to Zadar in Dalmatia to negotiate with Queen Elizabeth, but she had him imprisoned instead. 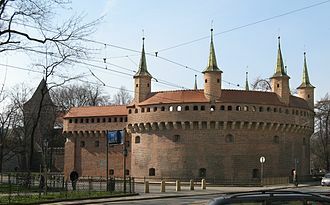 She sent Hungarian soldiers to Poland to garrison them in Wawel Castle in Kraków, but Pałuka escaped and successfully obstructed her soldiers entering the castle. At a general assembly in Radomsko in early March, the delegates of all the Polish provinces and towns decided to elect Siemowit king, if Jadwiga did not come to Poland within two months. They set up a provisional government, stipulating that only the "community of lords and citizens" had the authority to administer Poland during the interregnum. Queen Elizabeth, who was only informed of the decision by an informal message, realized that she could not any longer postpone Jadwiga's coronation and so sent her to Poland. The exact date of Jadwiga's arrival is unknown, because the main source for the history of Poland during this period – Jan of Czarnków's chronicle – ended prior to this event. The interregnum that followed Louis's death and caused such internal strife came to an end with Jadwiga's arrival in Poland. A large crowd of clerics, noblemen and burghers gathered at Kraków "to greet her with a display of affection", according to the 15th-century Polish historian, Jan Długosz. Nobody protested when Archbishop Bodzanta crowned her on 16 October 1384. According to traditional scholary consensus, Jadwiga was crowned "king". Thereby, as Robert W. Knoll proposes, the Polish lords prevented her eventual spouse from adopting the same title without their consent. Stephen C. Rowell, who says that sources that contradict the traditional view outnumber those verifying it, suggests that sporadic contemporaneous references to Jadwiga as "king" only reflect that she was not a queen consort, but a queen regnant. Bodzanta, Archbishop of Gniezno, Jan Radlica [pl], Bishop of Kraków, Dobrogost of Nowy Dwór, Bishop of Poznań, and Duke Vladislaus II of Opole were Jadwiga's most trusted advisers during the first years of her reign. According to a widely accepted scholarly theory, Jadwiga, who was still a minor, was "a mere tool" to her advisers. However, Halecki refutes this view, contending that Jadwiga matured quickly and her personality, especially her charm and kindness, only served to strengthen her position. Already in late 1384 she intervened on Duke Vladislaus's behalf to reconcile him with her mother's favourite, Nicholas I Garai. The Polish lords did not want to accept Jadwiga's fourteen-year-old fiancé, William of Habsburg, as their sovereign. They thought that the inexperienced William and his Austrian kinsmen could not safeguard Poland's interests against its powerful neighbours, especially the Luxemburgs which controlled Bohemia and Brandenburg, and had a strong claim on Hungary. According to Halecki, the lords of Lesser Poland were the first to suggest that Jadwiga should marry the pagan duke Jogaila of Lithuania. Jogaila sent his envoys – including his brother, Skirgaila, and a German burgher from Riga, Hanul – to Kraków to request Jadwiga's hand in January 1385. Jadwiga refused to answer, stating only that her mother would decide. Jogaila's two envoys left for Hungary and met Queen Elizabeth. She informed them that "she would allow whatever was advantageous to Poland and insisted that her daughter and the prelates and nobles of the Kingdom had to do what they considered would benefit Christianity and their kingdom", according to Jan Długosz's chronicle. The nobles from Kraków, Sandomierz and Greater Poland assembled in Kraków in June or July and the "majority of the more sensible" voted for the acceptance of Jogaila's marriage proposal. In the meantime, William's father, Leopold III hurried to Buda in late July 1385, demanding the consummation of the marriage between William and Jadwiga before 16 August. Queen Elizabeth confirmed the previous agreements about the marriage, ordering Vladislaus II of Opole to make preparations for the ceremony. 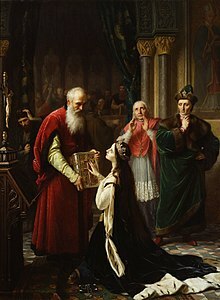 According to canon law, Jadwiga's marriage sacrament could only be completed before her twelfth birthday if the competent prelate testified her precocious maturity. Demetrius, Archbishop of Esztergom, issued the necessary document. William went to Kraków in the first half of August, but his entry to Wawel Castle was barred. Długosz states that Jadwiga and William would only be able to meet in the nearby Franciscan convent. Contemporary or nearly contemporaneous records of the completion of the marriage between William and Jadwiga are contradictory and unclear. 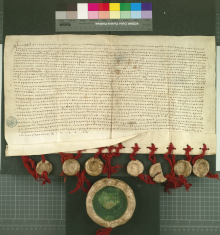 The official accounts of the municipal authorities of Kraków record that on 23 August 1385 an amnesty was granted to the prisoners in the city jail on the occasion of the celebration of the Queen's marriage. On the other hand, a contemporary Austrian chronicle, the Continuatio Claustroneubuzgis states that the Poles had tried to murder William before he consummated the marriage. In the next century, Długosz states that William was "removed in a shameful and offensive manner and driven from the castle" after he entered "the Queen's bedchamber"; but the same chronicler also mentions that Jadwiga was well aware that "many people knew that ... she had for a fortnight shared her bed with Duke William and that there had been physical consummation". On the night when William entered the queen's bedchamber, a group of Polish noblemen broke into the castle, forcing William to flee, according to Długosz. After this humiliation, Długosz continues, Jadwiga decided to leave Wawel and join William, but the gate of the castle was locked. She called for "an axe and [tried] to break it open", but Dymitr of Goraj convinced her to return to the castle. Oscar Halecki says that Długosz's narrative "cannot be dismissed as a romantic legend"; Robert I. Frost writes that it is a "tale, almost certainly apocryphal". There is no doubt, however, that William of Austria was forced to leave Poland. Jogaila signed the Union of Krewo in August 1385, promising Queen Elizabeth's representatives and the Polish lords' envoys that he would convert to Catholicism, together with his pagan kinsmen and subjects, if Jadwiga married him. 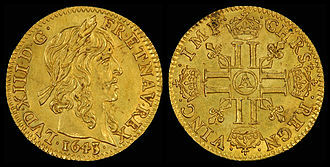 He also pledged to pay 200,000 florins to William of Habsburg in compensation. William never accepted it. Two days after the Union of Krewo, the Teutonic Knights invaded Lithuania. The Aeltere Hochmeisterchronik and other chronicles written in the Knights' territory accused the Polish prelates and lords of forcing Jadwiga to accept Jogaila's offer. According to a Polish legend, Jadwiga agreed to marry Jogaila due to divine inspiration during her long prayers before a crucifix in Wawel Cathedral. Siemowit IV of Mazovia resigned his claim to Poland in December. The Polish lords' envoys informed Jogaila that they would obey him if he married Jadwiga on 11 January 1386. Jogaila went to Lublin where a general assembly unanimously declared him "king and lord of Poland" in early February. Jogaila went on to Kraków where he was baptized, receiving the Christian name, Władysław, in Wawel Cathedral on 15 February. Three days later, 35-year-old Władysław-Jogaila married 12-year-old Jadwiga. Władysław-Jogaila styled himself as dominus et tutor regni Poloniae ("lord and guardian of the Kingdom of Poland") in his first charter issued after the marriage. Archbishop Bodzanta crowned Władysław-Jogaila king on 4 March 1386. Poland was transformed into a diarchy – a kingdom ruled over by two sovereigns. Jadwiga and her husband did not speak a common language, but they cooperated closely in their marriage. She accompanied him to Greater Poland to appease the local lords who were still hostile to him. The royal visit caused damage to the peasants who lived in the local prelates' domains, but Jadwiga persuaded her husband to compensate them, saying: "We have, indeed, returned the peasants' cattle, but who can repair their tears? ", according to Długosz's chronicle. A court record of her order to the judges in favour of a peasant also shows that she protected the poor. Pope Urban VI sent his legate, Maffiolus de Lampugnano, to Kraków to enquire about the marriage of the royal couple. Lampugnano did not voice any objections, but the Teutonic Knights started a propaganda campaign in favour of William of Habsburg. Queen Elizabeth pledged to assist Władysław-Jogaila against his enemies on 9 June 1386, but Hungary had sunken into anarchy. A group of Slavonian lords captured and imprisoned Jadwiga's mother and sister on 25 July. The rebels murdered Queen Elizabeth in January 1387. A month later, Jadwiga marched at the head of Polish troops to Ruthenia where all but one of the governors submitted to her without opposition. Duke Vladislaus of Opole who also had a claim on Ruthenia could not convince Wenceslaus, King of the Romans, to intervene on his behalf. Jadwiga confirmed the privileges of the local inhabitants and promised that Ruthenia would never again be separated from the Polish Crown. After the reinforcements that Władysław-Jogaila sent from Lithuania arrived in August, Halych, the only fortress to resist, also surrendered. Władysław-Jogaila also came to Ruthenia in September. Petru Muşat, Voivode of Moldavia, visited the royal couple and paid homage to them in Lviv on 26 September. Władysław-Jogaila confirmed the privileges that Jadwiga had granted the Ruthenians in October. She also instructed her subjects to show the same respect for her husband as for herself: in a letter addressed to the burghers of Kraków in late 1387, she stated that her husband was their "natural lord". On William's demand, Pope Urban VI initiated a new investigation about the marriage of Jadwiga and Władysław-Jogaila. They sent Bishop Dobrogost of Poznań to Rome to inform the pope of the Christianization of Lithuania. In his letter to Bishop Dobrogost, Pope Urban jointly mentioned the royal couple in March 1388, which implied that he had already acknowledged the legality of their marriage. However, Gniewosz of Dalewice, who had been William of Habsburg's supporter, spread rumours about secret meetings between William and Jadwiga in the royal castle. Jadwiga took a solemn oath before Jan Tęczyński, stating that she had only had marital relations with Władysław-Jogaila. After all witnesses confirmed her oath, Gniewosz of Dalewice confessed that he had lied. She did not take vengeance on him. Jadwiga's brother-in-law, Sigismund, who had been crowned King of Hungary, started negotiations with the Teutonic Knights about partitioning Poland in early 1392. Jadwiga met Mary in Stará Ľubovňa in May and returned to Kraków only in early July. She most probably accompanied her husband to Lithuania, according to Oscar Halecki, because she was far from Kraków till the end of August. On 4 August, Władysław-Jogaila's cousin, Vytautas, who had earlier fled from Lithuania to the Teutonic Knights, paid homage to Władysław-Jogaila near Lida in Lithuania on 4 August. Negotiations between Sigismund and the Grand Master of the Teutonic Knights, Konrad von Wallenrode, continued with the mediation of Vladislaus of Opole. However, Hungary's southern border was exposed to Ottoman incursions, preventing Sigismund from taking military measures against Poland. Wallenrode died on 25 July 1393. 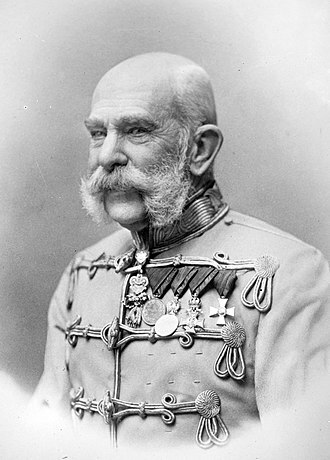 His successor, Konrad von Jungingen, opened negotiations with the Poles. During the discussions, Pope Boniface IX's legate, John of Messina, supported the Poles. Jadwiga was a skilful mediator, famed for her impartiality and intelligence. She went to Lithuania to reconcile her brother-in-law, Skirgaila, with Vytautas in October 1393. Relations between Poland and Hungary remained tense. Sigismund invaded Moldavia, forcing Stephen I of Moldavia to accept his suzerainty in 1394. 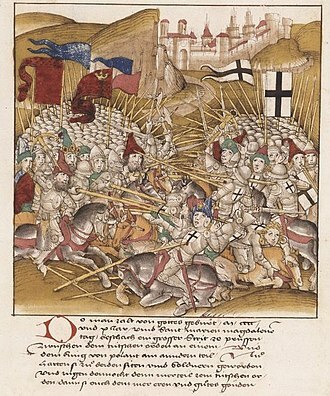 Soon after the Hungarian troops left Moldavia, Stephen sent his envoys to Jadwiga and Jogaila, promising to assist Poland against Hungary, the Ottoman Empire and the Teutonic Knights. On 17 May 1395, Mary died after a riding accident. According to the 1383 agreement between their mother and the Polish lords, Jadwiga was her childless sister's heir in Hungary. Vlad I of Wallachia, a Hungarian vassal, issued an act of submission on 28 May, acknowledging Jadwiga and her husband as Mary's legitimate successors. The widowed king's close supporter, Stibor of Stiboricz, expelled Vlad from Wallachia. Władysław-Jogaila gathered his troops on the Polish-Hungarian border, but Jolsvai Leusták [hu], Palatine of Hungary, and Kanizsai János [hu], Archbishop of Esztergom, stopped his invasion of Hungary. 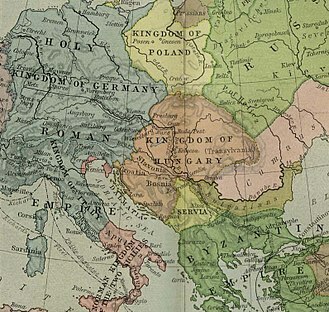 In September, Konrad von Jungingen told the prince-electors of the Holy Roman Empire that the union of Poland, Lithuania and Hungary under Władysław-Jogaila's rule would endanger Christendom. However, most of Sigismund's opponents, who were especially numerous in Croatia, supported the claim of Ladislaus of Naples, the last male member of the Capetian House of Anjou. 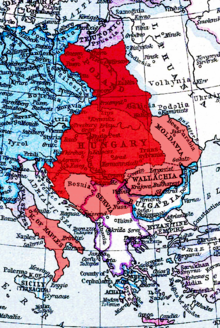 On 8 September, the most influential Hungarian lords declared that they would not support any change in government while Sigismund was far from Hungary fighting against the Ottoman Turks. Before the end of the year, peace negotiations between the representatives of Hungary and Poland ended with an agreement. Jadwiga adopted the title "heir to Hungary", but she and her husband took no further action against Sigismund. The relationship between Lithuania and the Teutonic Knights remained tense. Jadwiga and her Polish advisers invited the Grand Master, Konrad von Jungingen, to Poland to open new negotiations in June 1396. Conflicts with Vladislaus of Opole and Siemowit of Masovia, who had not given up their claims to parts of Ruthenia and Cuyavia, also intensified. To demonstrate that the territories were under Jadwiga's direct control, Władysław-Jogaila granted the Duchy of Belz (in Ruthenia) and Cuyavia to her in early 1397. However, Jadwiga and her Polish advisers wanted to avoid a war with the Teutonic Order. In response, Władysław-Jogaila replaced most Polish "starostas" (aldermen) in Ruthenia with local Orthodox noblemen. According to German sources, Władysław-Jogaila and Vytautas jointly asked Pope Boniface IX to sanction Vytautas' coronation as king of Lithuania and Ruthenia. Jadwiga and Jungingen met in Włocławek in the middle of June, but they did not reach a compromise. The Teutonic Order entrusted Vladislaus of Opole with the task of representing their claims to Dobrzyń against Jadwiga. Jadwiga and her husband met Sigismund of Hungary, who had returned there after his catastrophic defeat in the Battle of Nicopolis, on 14 July. They seem to have reached a compromise, because Sigismund offered to mediate between Poland, Lithuania and the Teutonic Knights. On Jadwiga's request, Wenceslaus of Bohemia granted permission for the establishment of a college for Lithuanian students in Prague on 20 July 1397. Jadwiga, who had spent "many sleepless nights" thinking of this project, according to herself, issued a charter of establishment for the college on 10 November. She opened new negotiations with the Teutonic Knights, but Konrad von Jungingen dispatched a simple knight to meet her in May 1398. Władysław-Jogaila's cousin Vytautas also entered into negotiations with the Teutonic Knights because he wanted to unite Lithuania and Ruthenia under his rule and to receive a royal crown from the Holy See. According to the chronicle of John of Posilge, who was an official of the Teutonic Order, Jadwiga sent a letter to Vytautas, reminding him to pay the annual tribute that Władysław-Jogaila had granted her as dower. Offended by Jadwiga's demand, Vytautas sought the opinion of the Lithuanian and Ruthenian lords who refused Jadwiga's claim to a tribute. On 12 October 1398, he signed a peace treaty with the Teutonic Knights, without referring to Władysław-Jogaila's right to confirm it. Oscar Halecki says that Posilge's "sensational story" is either an invention based on gossip or a guess by the chronicler. Jadwiga was childless for over a decade, which, according to chronicles written in the Teutonic lands, caused conflicts between her and her husband. She became pregnant in late 1398 or early 1399. Sigismund, King of Hungary, came to Kraków in early March to negotiate for a campaign to defend Wallachia against the Ottoman Turks. 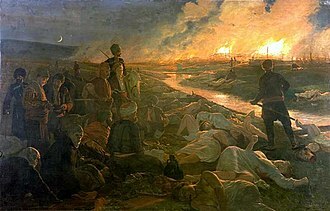 Vytautas, in order to bolster his authority over the Rus' principalities, decided to launch an expedition against Timur, who had subdued the Golden Horde. According to Jan Długosz's chronicle, Jadwiga warned the Polish noblemen not to join Vytautas' campaign because it would end in failure. Halecki says that the great number of Polish knights who joined Vytautas's expedition proves that Długosz's report is not reliable. 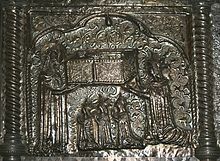 On the occasion of the expected birth to the royal couple, Jogaila's cousin Vytautas, Grand Duke of Lithuania, sent expensive gifts, including a silver cradle, to the royal court on behalf of himself and his wife, Anna. The first horoscopes written for Jadwiga's and Jogaila's child predicted a son in mid-September 1398. However, a girl was delivered on 22 June 1399 at Wawel Castle. Reports of the time stated that the child was born prematurely. According to the horoscope, she was actually born slightly late. However, a due date of 18 June would rule out the suspicion of pregnancy as early as mid-September. The newborn princess was named Elizabeth Bonifacia (Polish: Elżbieta Bonifacja, Lithuanian: Elżbieta Bonifacija), after Jadwiga's mother and Pope Boniface IX who, in a letter of 5 May 1399, had agreed to be godfather under the condition that the infant be called Boniface or Bonifacia. She was baptised by Piotr Wysz Radoliński, Bishop of Kraków. However, the infant died after only three weeks, on 13 July 1399. Jadwiga, too, was on her deathbed. Stanisław of Skarbimierz expressed hope that she would survive, describing her as the spiritual mother of the poor, weak, and ill of Poland. She advised her husband to marry Anna of Cilli, Casimir the Great's granddaughter, and died on 17 July 1399, four days after her newborn daughter. Jadwiga and her daughter were buried together in Wawel Cathedral, on 24 August 1399, as stipulated in the Queen's last will. On 12 July 1949, 550 years later, their tomb was opened; nothing remained of the child's soft cartilage. The following family tree illustrates Jadwiga's connection to her notable relatives. Kings of Poland are colored blue. Two leading historians, Oscar Halecki and S. Harrison Thomson, agree that Jadwiga was one of the greatest rulers of Poland, comparable to Bolesław the Brave and Casimir the Great. Her marriage to Władysław-Jogaila enabled the union of Poland and Lithuania, establishing a large state in East Central Europe. Jadwiga's decision to marry the 'elderly' Władysław-Jogaila instead of her beloved fiancé, William of Habsburg, has often been described as a sacrifice for her country in Polish historiography. Her biographers emphasize Jadwiga's efforts to preserve the peace with the Teutonic Order, which enabled Poland to make preparations for a decisive war against the Knights. Jadwiga's childless death weakened Władysław-Jogaila's position, because his claim to Poland was based on their marriage. Six days after her funeral, Władysław-Jogaila left Poland for Ruthenia, stating that he was to return to Lithuania after his wife's death. The Polish lords sent their envoys to Lviv to open negotiations with him. The delegates took new oaths of loyalty to him, confirming his position as king. 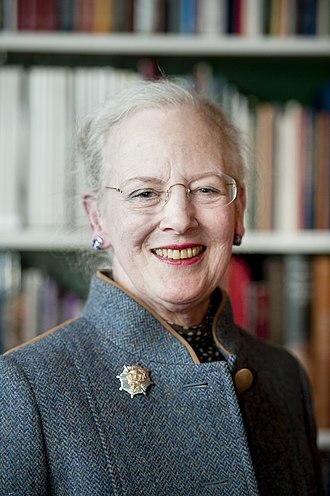 On the lords' demand, he agreed to marry Anna of Cilli. Their wedding was celebrated on 29 January 1402. Jadwiga's cultural and charitable activities were of exceptional value. She established new hospitals, schools and churches, and restored older ones. Jadwiga promoted the use of vernacular in church services, especially the singing of hymns in Polish. The Scriptures were translated into Polish on her order. Casimir the Great had already in 1364 established the University of Kraków, but it did not survive his death. Władysław-Jogaila and Jadwiga jointly asked Pope Boniface IX to sanction the establishment of a faculty of theology in Kraków. 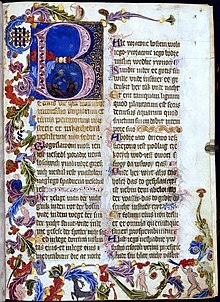 The pope granted their request on 11 January 1397. Jadwiga bought houses along a central street of Kraków for the university. However, the faculty was only set up a year after Jadwiga's death: Władysław-Jogaila issued the charter for the reestablished university on 26 July 1400. In accordance with Jadwiga's last will, the restoration of the university was partially financed through the sale of her jewellery. Oscar Halecki writes that Jadwiga transmitted to the nations of East Central Europe the "universal heritage of the respublica Christiana, which in the West was then waning, but in East Central Europe started flourishing and blending with the pre-Renaissance world". She was closely related to the saintly 13th-century princesses, venerated in Hungary and Poland, including Elizabeth of Hungary and her nieces, Kinga and Yolanda, and Salomea of Poland. She was born to a family famed for its religious zeal. She attended Mass every day. In accordance with her family's tradition, Jadwiga was especially devoted to the Blessed Virgin Mary. An inscription engraved on her request on a precious chalice, which was placed in the Wawel Cathedral, asked Our Lady to place Poland under her protection. Jadwiga was venerated in Poland soon after her death. Stanisław of Skarbimierz states that she had been "the most Christian queen" in his sermon composed for her funeral. Paul of Zator referred to the wax figures placed by her grave. Sermons written in the early 15th century emphasized that Jadwiga had been a representative of the traditional virtues of holy women, such as mercy and benevolence. Jadwiga's contribution to the restoration of the University of Kraków was also mentioned by early 15th-century scholars. Jadwiga often prayed before a large black crucifix hanging in the north aisle of Wawel Cathedral. During one of these prayers, the Christ on the cross is said to have spoken to her. The crucifix, "Saint Jadwiga's cross", is still there, with her relics beneath it. Because of this event, she is considered a medieval mystic. [page needed] According to another legend, Jadwiga took a piece of jewellery from her foot and gave it to a poor stonemason who had begged for her help. When the king left, he noticed her footprint in the plaster floor of his workplace, even though the plaster had already hardened before her visit. The supposed footprint, known as "Jadwiga's foot", can still be seen in one of Kraków's churches. In yet another legend, Jadwiga was taking part in a Corpus Christi Day procession when a coppersmith's son drowned by falling into a river. Jadwiga threw her mantle over the boy's body, and he regained life. On 8 June 1979 Pope John Paul II prayed at her sarcophagus; and the Congregation for Divine Worship and the Discipline of the Sacraments officially affirmed her beatification on 8 August 1986. The Pope went on to canonize Jadwiga in Kraków on 8 June 1997. ^ Jadwiga was officially crowned as "King of Poland" — Hedvig Rex Poloniæ, not Hedvig Regina Poloniæ. Polish law had no provision for a female ruler (queen regnant), but did not specify that the monarch had to be male. ^ Jadwiga's name was first recorded in instructions to Hungarian envoys to France on 17 April 1384. 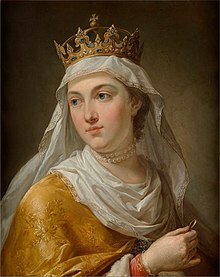 If by then, Jadwiga had reached twelve years, the minimum age prescribed by canon law for girls to marry, she must have been born before 18 February 1374. ^ a b Halecki 1991, p. 56. ^ Wolf 1993, p. xliii. ^ a b c d Engel 2001, p. 169. ^ a b c Halecki 1991, p. 78. ^ a b Duczmal, Małgorzata (1996). Jagiellonowie. Kraków: Wydawnictwo Literackie. p. 305. ISBN 83-08-02577-3. ^ a b Sroka 1999, pp. 54–55. ^ a b Halecki 1991, p. 93. ^ a b c d Gromada 1999, p. 434. ^ Halecki 1991, p. 89. ^ a b Davies 2005, p. 90. ^ a b Halecki 1991, p. 58. ^ Sedlar 1994, pp. 39–40. ^ a b c d Frost 2015, p. 8. ^ Halecki 1991, pp. 65, 93. ^ a b c Engel 2001, p. 170. ^ Halecki 1991, p. 65. ^ Halecki 1991, pp. 64–65. ^ Halecki 1991, p. 71. ^ Halecki 1991, p. 52. ^ Frost 2015, pp. 8, 10. ^ Halecki 1991, pp. 72–73. ^ Halecki 1991, p. 73. ^ a b c Halecki 1991, p. 75. ^ a b c d e Frost 2015, p. 10. ^ Engel 2001, p. 173. ^ Engel 2001, p. 195. ^ Monter 2012, p. 195. ^ Halecki 1991, p. 97. ^ a b c Halecki 1991, p. 99. ^ a b c d Halecki 1991, p. 100. ^ Halecki 1991, pp. 66, 100. ^ Halecki 1991, pp. 69–70. ^ Frost 2015, p. 11. ^ a b c d e Halecki 1991, p. 101. ^ Frost 2015, p. 15. ^ a b Halecki 1991, p. 104. ^ a b Deletant 1986, p. 202. ^ Halecki 1991, pp. 71, 104. ^ Halecki 1991, pp. 103–104. ^ a b c d Halecki 1991, p. 106. ^ Halecki 1991, pp. 101, 106. ^ a b c d Halecki 1991, p. 107. ^ Halecki 1991, pp. 107–108. ^ a b c d Halecki 1991, p. 108. ^ Frost 2015, p. 16. ^ a b Halecki 1991, p. 109. ^ Jackson 1999, p. 188. ^ a b Halecki 1991, p. 113. ^ The Annals of Jan Długosz (A.D. 1384), p. 344. ^ Davies 2005, p. 91. ^ a b Frost 2015, p. 17 (note 38). ^ Knoll 2011, p. 37. ^ Halecki 1991, pp. 114–115. ^ a b Halecki 1991, p. 114. ^ Halecki 1991, p. 116. ^ Frost 2015, p. 17. ^ Halecki 1991, pp. 116–117. ^ a b Frost 2015, pp. 17, 33. ^ Halecki 1991, p. 117. ^ Halecki 1991, p. 118. ^ Halecki 1991, pp. 121–123. ^ a b Halecki 1991, p. 123. ^ Frost 2015, p. 3. ^ a b The Annals of Jan Długosz (A.D. 1385), p. 345. ^ Halecki 1991, p. 127. ^ Halecki 1991, p. 129. ^ Halecki 1991, pp. 127, 129. ^ a b c d Frost 2015, p. 34. ^ a b Halecki 1991, p. 130. ^ Halecki 1991, p. 131. ^ a b Halecki 1991, p. 132. ^ Halecki 1991, p. 132-135. ^ Halecki 1991, pp. 132–133. ^ a b c Halecki 1991, p. 135. ^ The Annals of Jan Długosz (A.D. 1385 and 1386), pp. 346–347. ^ Halecki 1991, pp. 134–135. ^ The Annals of Jan Długosz (A.D. 1385), p. 346. ^ Halecki 1991, p. 138. ^ a b Halecki 1991, p. 139. ^ a b Davies 2005, p. 95. ^ Frost 2015, pp. 47, 50. ^ Gromada 1999, pp. 434–435. ^ Frost 2015, pp. 34, 47. ^ Halecki 1991, p. 157. ^ Halecki 1991, pp. 139–140. ^ a b Frost 2015, p. 4. ^ Frost 2015, p. 49. ^ Halecki 1991, p. 147. ^ a b c Monter 2012, p. 74. ^ Frost 2015, pp. 49–50. ^ Halecki 1991, pp. 150–151. ^ a b Halecki 1991, p. 152. ^ Jackson 1999, p. 190. ^ a b Halecki 1991, p. 155. ^ a b c Halecki 1991, p. 160. ^ The Annals of Jan Długosz (A.D. 1386), p. 348. ^ a b Halecki 1991, p. 158. ^ Halecki 1991, pp. 157–159. ^ Engel 2001, p. 198. ^ Engel 2001, pp. 198–199. ^ Halecki 1991, p. 164. ^ Halecki 1991, pp. 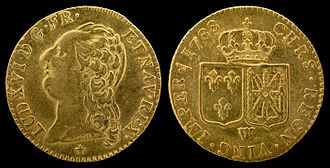 165–166. ^ a b Gromada 1999, p. 435. ^ a b c Halecki 1991, p. 166. ^ a b c Deletant 1986, p. 203. ^ Halecki 1991, p. 156. ^ Halecki 1991, pp. 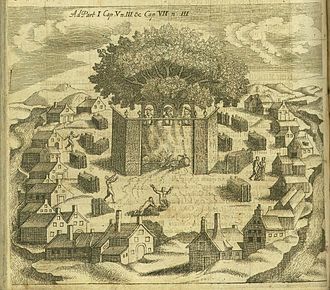 167–168. ^ a b c Halecki 1991, p. 170. ^ Halecki 1991, pp. 137, 180. ^ a b Halecki 1991, p. 180. ^ Engel 2001, p. 199. ^ Halecki 1991, p. 194. ^ Halecki 1991, pp. 195–197. ^ a b Halecki 1991, p. 198. ^ Halecki 1991, pp. 200–201. ^ Halecki 1991, p. 207. ^ a b c Halecki 1991, p. 211. ^ Halecki 1991, p. 199. ^ a b c Halecki 1991, p. 214. ^ a b Engel 2001, p. 201. ^ Halecki 1991, p. 220. ^ Halecki 1991, p. 221. ^ a b Halecki 1991, p. 222. ^ a b Halecki 1991, p. 224. ^ Halecki 1991, pp. 223–224. ^ Halecki 1991, p. 225. ^ Halecki 1991, pp. 226–227. ^ Halecki 1991, pp. 230–233. ^ Halecki 1991, p. 233. ^ Halecki 1991, pp. 234–235. ^ Halecki 1991, p. 235. ^ a b c d e Frost 2015, p. 89. ^ Halecki 1991, pp. 236–237. ^ Halecki 1991, p. 237. ^ Halecki 1991, pp. 236, 238. ^ Halecki 1991, p. 240. ^ a b Halecki 1991, p. 247. ^ Halecki 1991, p. 241. ^ a b Halecki 1991, pp. 242–243. ^ Halecki 1991, pp. 243–244. ^ Halecki 1991, p. 244. ^ Halecki 1991, p. 245. ^ Halecki 1991, p. 252. ^ Halecki 1991, pp. 252–253. ^ a b Halecki 1991, pp. 256–257. ^ a b c Halecki 1991, p. 257. ^ Prof. Jadwiga Krzyżaniakowa. "Interview about Queen Jadwiga of Poland" (in Hungarian). Retrieved 23 December 2011. ^ a b c d e f g Frost 2015, p. 91. ^ Brzezińska 1999, pp. 407–408. ^ Halecki 1991, pp. 264–265. ^ Olbrycht and Kusiak, pp. 256–66. ^ a b c Gromada 1999, p. 433. ^ a b c d e Gromada 1999, p. 436. ^ Halecki 1991, p. 263. ^ Halecki 1991, p. 265. ^ a b Davies 2005, p. 80. ^ a b Halecki 1991, p. 262. ^ a b Halecki 1991, pp. 261–262. ^ a b c Gromada 1999, p. 437. ^ a b "St. Hedwig of Poland - Saints & Angels - Catholic Online". Catholic Online. Retrieved 18 October 2018. ^ Halecki 1991, pp. 82, 90. ^ Engel 2001, pp. 170–171. ^ a b Halecki 1991, p. 115. ^ a b c d e Brzezińska 1999, p. 408. Brzezińska, Anna (1999). "Jadwiga of Anjou as the Image of a Good Queen in Late Medieval and Early Modern Poland". The Polish Review. The Polish Institute of Arts and Sciences of America. XLIV (4): 407–437. Deletant, Dennis (1986). "Moldavia between Hungary and Poland, 1347–1412". The Slavonic and East European Review. 64 (2): 189–211. Duczmal, Małgorzata (1996). Jagiellonowie. Kraków: Wydawnictwo Literackie. ISBN 83-08-02577-3. Frost, Robert I. (2015). The Oxford History of Poland-Lithuania, Volume I: The Making of the Polish-Lithuanian Union, 1385–1567. Oxford University Press. ISBN 978-0-19-820869-3. Gromada, Thaddeus V. (1999). "Oscar Halecki's Vision of Saint Jadwiga of Anjou". The Polish Review. The Polish Institute of Arts and Sciences of America. XLIV (4): 433–437. Jackson, Guida M. (1999). Women Rulers Throughout the Ages: An Illustrated Guide. ABC-CLIO. ISBN 1-57607-091-3. Jasienica, Paweł (1988). Polska Jagiellonów [Jagellonian Poland] (in Polish). Państwowy Instytut Wydawniczy. ISBN 83-06-01796-X. Knoll, Paul W. (2011). "Religious Toleration in Sixteenth-Century Poland: Political Realities and Social Constraints". In Louthan, Howard; Cohen, Gary B.; Szabo, Franz A. J. Diversity and Dissent: Negotiating Religious Difference in Central Europe, 1500–1800. Berghahn Books. pp. 30–52. ISBN 978-0-85745-108-8. Monter, William (2012). The Rise of Female Kings in Europe, 1300–1800. Yale University Press. ISBN 978-0-300-17327-7. Sroka, Stanisław Andrzej (1999). Genealogia Andegawenów węgierskich [Genealogy of the Hungarian Angevins] (in Polish). Towarzystwo Naukowe Societas Vistulana. ISBN 83-909094-1-3. Wdowiszewski, Zygmunt (2005). Genealogia Jagiellonów i Domu Wazów w Polsce (in Polish). Avalon. Wolf, Armin (1993). "Reigning Queens in Medieval Europe: When, Where, and Why". In Parsons, John Carmi. Medieval Queenship. Sutton Publishing. pp. 169–188. ISBN 0-7509-1831-4. Heinze, Karl (8 December 2003). Baltic Sagas. Virtualbookworm Publishing. ISBN 1-58939-498-4. Kellogg, Charlotte (1931). Jadwiga, Poland's Great Queen. The Macmillan Company. Rowell, S. C. (2006). "1386: the Marriage of Jogaila and Jadwiga embodies the union of Lithuania and Poland". Lithuanian Historical Studies. Lietuvos istorijos institutas. 11: 137–144. ISSN 1392-2343. Lukowski, Jerzy; Hubert Zawadzki (20 September 2001). A Concise History of Poland. Cambridge University Press. ISBN 0-521-55917-0. Turnbull, Stephen; Richard Hook (30 May 2003). Tannenberg 1410. Osprey Publishing. ISBN 1-84176-561-9. William, known as William the Courteous, a member of the House of Habsburg, was Duke of Austria from 1386. As head of the Leopoldian line, he ruled over the Inner Austrian duchies of Carinthia and Carniola as well as the County of Tyrol and Further Austria from 1396 until his death. Born in Vienna, William was the oldest son of Duke Leopold III of Austria and his consort Viridis Visconti, a daughter of Lord Bernabò of Milan. At the age of 14, William was betrothed to the Anjou princess Hedwig, the youngest daughter of King Louis I of Hungary, when King Louis died in 1382, Mary succeeded in Hungary. However, the Polish nobles rejected Mary and Sigismund, and instead chose Jadwiga as queen regnant and they repudiated her betrothal to William and enforced the break-up of the engagement. In 1386, Leopold III was killed in the Battle of Sempach and his brother Leopold IV succeeded him as Duke of Austria, ruling jointly with their uncle Albert III. A fierce inheritance dispute arose when Duke Albert III died in 1395 and was succeeded by his only son Albert IV, in 1401, William married another presumptive heiress, Princess Joanna of Naples, Hedwigs cousin and of Angevin descent. He was the second son of Siemowit III, Duke of Masovia and his first wife Euphemia, daughter of Nicholas II of Opava. Siemowit IV chosen to be opposed to his older brother Janusz I in the relations with the Polish Kingdom - in particular, when he attempted to obtain the royal crown. However, the late King had made arrangements among the Lesser Poland nobility who guaranteed the support to his eldest daughter and heiress Mary and her husband Sigismund of Luxembourg. Without waiting for a settlement, in January 1383, Siemowit IV marched to Greater Poland at the head of his troops. The first step to implement this plan was the formal candidacy of Siemowit IV to the royal crown, to this end, in a meeting of nobles and gentry at Sieradz the Archbishop Bodzanta of Gniezno, one of his leading supporters, proposed Siemowit IVs candidacy to the throne. The opposition of Lesser Poland to the candidacy of Siemowit IV was probably associated with the fear of the role of Greater Poland under an eventual rule of the Masovian Duke. Another argument against this was the idea of the union with the Grand Duchy of Lithuania. This events didnt discouraged Siemowit IV, who was determined to obtain the crown, probably with the knowledge and consent of Archbishop Bodzanta, he attempted to abduct Jadwiga and marry her, in a desperate act to win the crown. 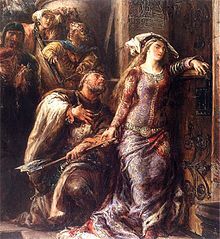 When the Lesser Poland nobility knew of his intentions, they close the gates of Wawel to Bodzantas men and they warned Jadwiga, who remained at the court of her mother until was secured to travel. Despite the defeat of his ambitious plans, Siemowit IV continued his efforts to obtain the Polish throne. For this purpose, after burning the property of his opponents in Książ, he went back to Sieradz. This time, the congress lacked of real authority, after a disastrous campaign and a failed siege to Kalisz, some of his supporters decided to sign an armistice on 29 September 1383. Better advantage of the ceasefire to the Polish was the join of Hungarian troops to the country under the command of Sigismund of Luxembourg. The act was very limited in scope and in the historiography the term Union of Krewo often refers not only to the particular document but to the events of 1385–1386 as a whole. After the negotiations in 1385, Jogaila converted to Christianity, married Jadwiga, the union was a decisive moment in the histories of Poland and Lithuania, it marked a beginning of the four centuries of shared history between the two nations. By 1569 the Polish–Lithuanian union grew into a new state, the Polish–Lithuanian Commonwealth, Louis I of Hungary died on 13 September 1382. Since he had two surviving daughters and Jadwiga, Poland faced a succession crisis. Candidates for the throne included Marys fiancé Sigismund of Luxembourg, Siemowit IV, Duke of Masovia and her fiancé were rejected by the Polish nobles, who did not wish to continue a personal union with the Kingdom of Hungary. Polish nobles competed with other and a brief civil war broke out in Greater Poland. Eventually, after negotiations with Jadwigas mother Elizabeth of Bosnia. The new monarch still needed a suitable husband and she was betrothed to William of Austria, who in summer 1385 traveled to Poland in an attempt to consummate the proposed marriage and present a fait accompli. He succeeded in reaching Wawel, but was removed by Polish nobles. It is unclear whether he succeeded in consummating the marriage, nobles from Lesser Poland, including Spytek of Melsztyn, Jan of Tarnów, and Jan Tęczyński, proposed that Jadwiga marry Jogaila, Grand Duke of Lithuania. Grand Duke Algirdas died in 1377 and left the throne to his son Jogaila and he inherited a large state, inhabited by pagan Lithuanians and Orthodox Ruthenians. For the last century, Lithuanians defended themselves from the Teutonic Knights, Jogaila understood that the conversion was inevitable and searched for the best opportunities. The Treaty of Dubysa of 1382 with the Knights included provisions of Jogailas conversion within four years, the treaty was never ratified. Accepting Christianity from an enemy was dangerous, unpopular. Romuva sanctuary in Prussia. From Christoph Hartknoch's Alt- und neues Preussen (Old and New Prussia), 1684.